Welcome back to another amazing recipe that I absolutely LOVE! This dish will for sure set your dinner table apart from any-other table in your neighborhood! 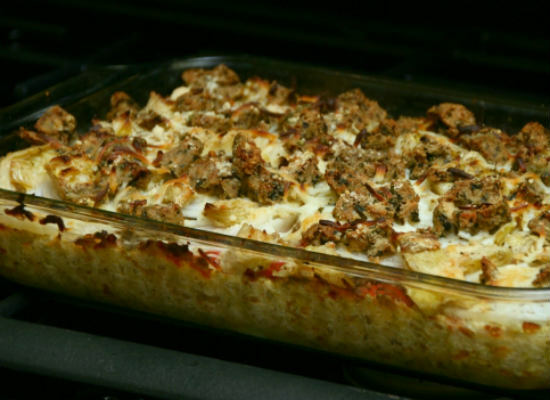 This hamburger casserole will win hearts and tastebuds whenever it is served at your dinner! If you have had the internet for as many years as I have you will know that there are so many recipes out there all trying to get you to make them. Well, let me let you into a secret! They are all garbage. The recipe I am sharing with you all today is tried and tested by my family. They are some of the pickiest eaters known to humanity. They all loved it and ALL asked for seconds and even thirds! If you are looking for a wholesome, warm and filling recipe this hamburger casserole is going to make any night a fantastic one which will leave all that eat it satisfied and talking about for days and even weeks! I am not even exaggerating. Recipe adapted from Group Recipes.